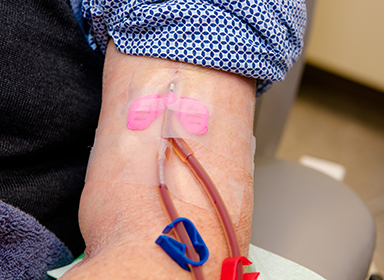 Blood is drawn from the patient via a vascular access, pumped via the arterial tube system into the dialyzer, cleaned there, and returned to the patient`s body via the venous tube system. 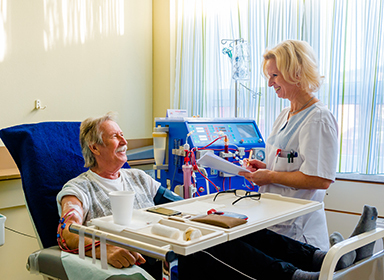 It is a combination of hemodialysis and hemofiltration using the physical principle of diffusion (to remove low molecular weight substances) and convection (to remove larger molecules). 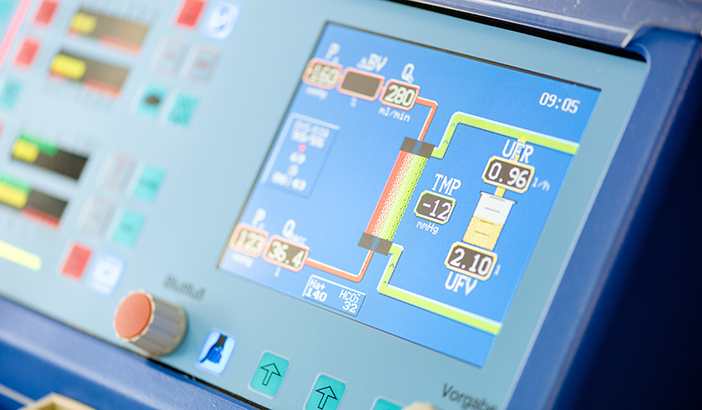 The single-needle method uses just one connection point/one lumen. The blood is taken in the arterial phase, cleaned in the dialyser to the body in the venous phase of the procedure. 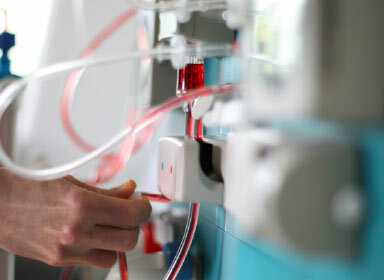 Every treatment includes a visit from a doctor, and the constant presence of a dialysis machine is a given. The physician will discuss any additional diseases or conditions during the visit. 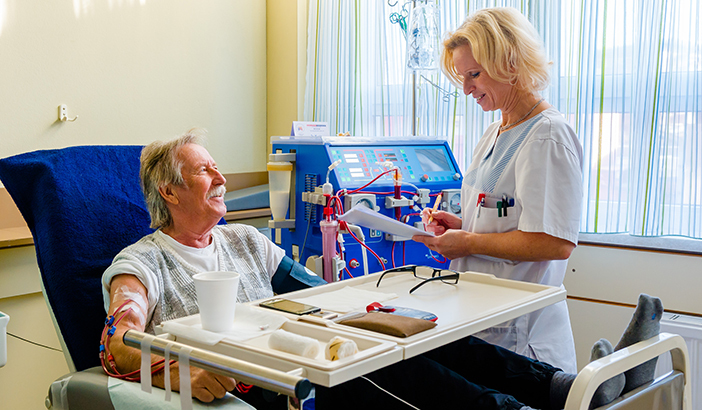 We provide our patients with snacks and drinks during the dialysis process, and take into account any special dietary needs. Cable TV, radio and magazines make the treatment time pass more quickly. Some of our nurses have completed additional training in nutritional counselling and provide our dialysis patients with sound advice on how to improve their well-being with the right diet. Some of our employees have also completed additional training in wound management. 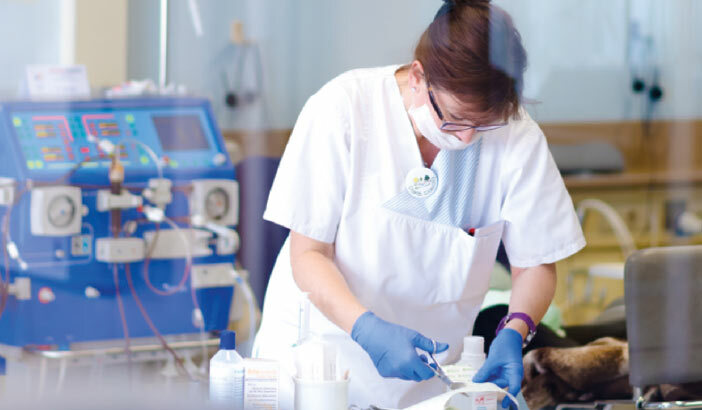 We offer ongoing wound care, bandage changing and much more in the context of our dialysis treatment. Diacura GmbH is a contractual partner for all insurance companies in Judenburg. Services for patients with a European health insurance card can be settled directly.